Enter The Gungeon: A Farewell to Arms is the final update of the game’s life. In this final update there are a number of new additions like weapons, synergies, characters, and even a new challenge run. This guide will show you how to unlock Rainbow Runs in Enter The Gungeon’s A Farewell to Arms update. In order to unlock the new Rainbow Runs, you need to find and free the NPC called Bowler. 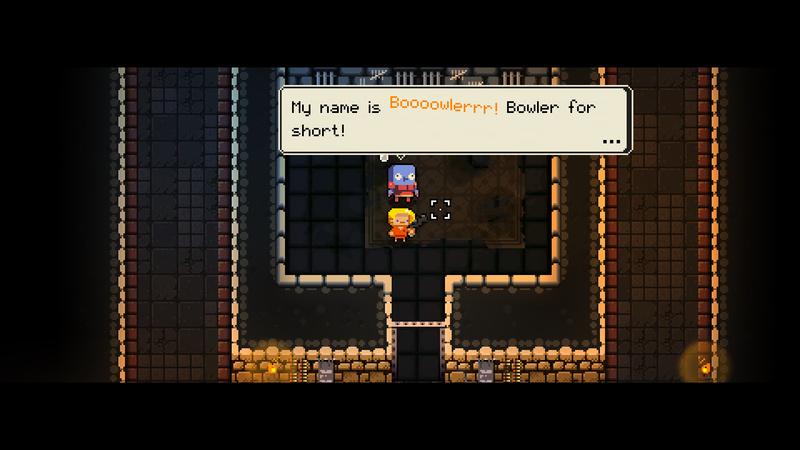 Like other NPCs you will find Bowler in the Gungeon locked up inside a cell. To free Bowler you need to find the cell key (dropped of random enemy of floor boss). Once you have the cell key, you can open the cell and speak with Bowler. After speaking with Bowler, they will tell you to come visit them in the Breach. Once you’ve freed Bowler, return to the Breach and speak with them in the challenge run room (right of the main entrance to the Gungeon). When you speak with Bowler they will mention Rainbow Runs and turn it on automatically. 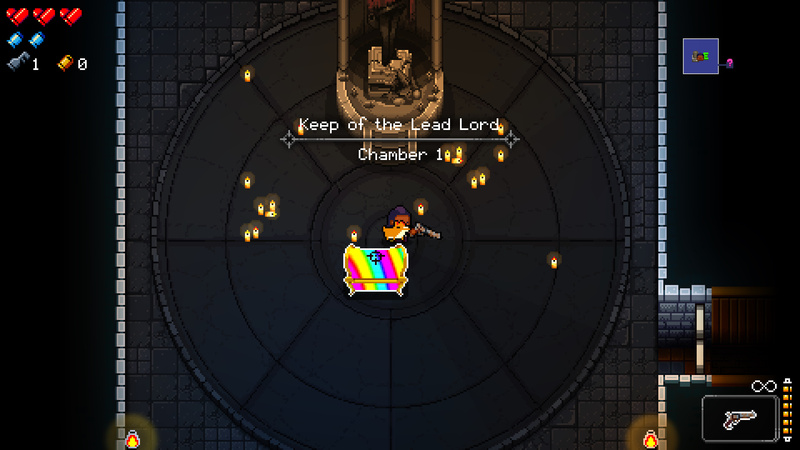 In a Rainbow Run, you start each floor with a single Rainbow Chest. From the chest you select a single weapon or item. That’s all you get for the floor. Good luck! Check out our other guides on unlocking all the new characters and accessing the new floor. Thoughts on our how to unlock Rainbow Runs in Enter the Gungeon’s A Farewell To Arms update guide? Drop them in The Pit below.